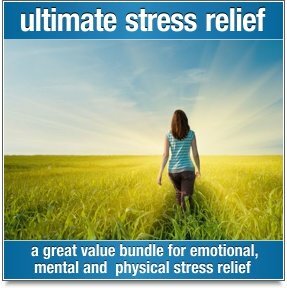 This inspiring meditation experience uses soothing music with theta frequencies and positive affirmations to help you connect with your higher self and open up to the voice of your spirit. 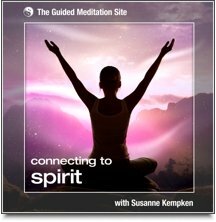 Featuring the lovely voice of Susanne Kempken, Connecting To Spirit is deliciously relaxing and is bound to make your heart sing. 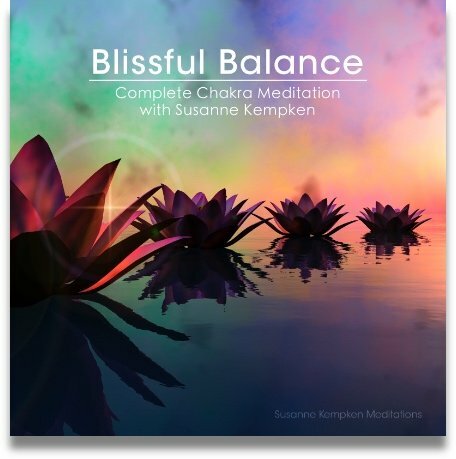 This is the first album in a series of chakra meditations by Susanne. It's not until we learn to relax, let go and trust the voice of our spiritual self that our life begins to unfold effortlessly, peacefully and completely. Spiritual guidance is always available to you, but life has a way of filling up our minds with clutter so that we gradually lose the clarity needed to keep in touch with that guidance. Connecting To Spirit will help you wipe all that clutter away and connect with your higher mind, so that you can live in closer connection to your true spiritual nature. You'll get "on path" and live with a sense of spirit-directed purpose. You'll experience more frequent moments of spiritual liberation - that lovely feeling that comes when you are able to let go and follow the guidance of your higher mind. Connecting To Spirit will also enhance your intuition. It will help you to feel safe and supported, and it will help you develop confidence in your ability to make decisions that serve your highest good. Most importantly, Connecting To Spirit will give you a feeling of connection to a larger whole, and remind you that you are an important part of this universe. 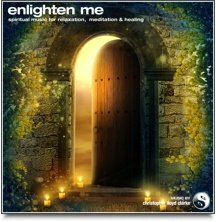 Listening to Connecting To Spirit should be an effortless and relaxing experience. Susanne recommends that you simply allow her words and messages to flow through you as you listen, and feel free to fall asleep.